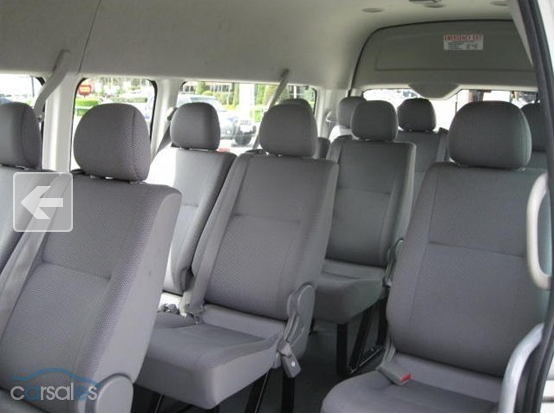 In its previous incarnation, the campervan was used by ABC Childcare in Western Australia to ferry children around, and as such, was fitted out as a 14-seater mini-bus. When we bought the van, the owner kindly removed all 12 rear seats, and they’d been cluttering up our garage ever since. Originally destined for the tip, they were actually in near-perfect condition so at the last minute I thought I’d try them on eBay. I couldn’t imagine there’d be an active market for 12 old bus seats (retro dining furniture anyone?) but to our surprise, they attracted a lot of interest almost immediately. We had 8 people watching on the first day, and for an eBay virgin, this was most exciting. Admittedly, most people only wanted to buy one, but I thought there would be even less demand for 11 old bus seats so we held out, and pretty soon someone bought all 12 for $350! The couple that came to pick them up had also converted a campervan and were about to drive it to Perth (they had to be there in 8 days – eek!) when their son decided to join them, so they needed to fit an extra seat for him. They were planning to relist the other 11 seats when they returned, but at least they’re now out of our garage, and we can put the money we made towards our gourmet kitchen (i.e. the grill). 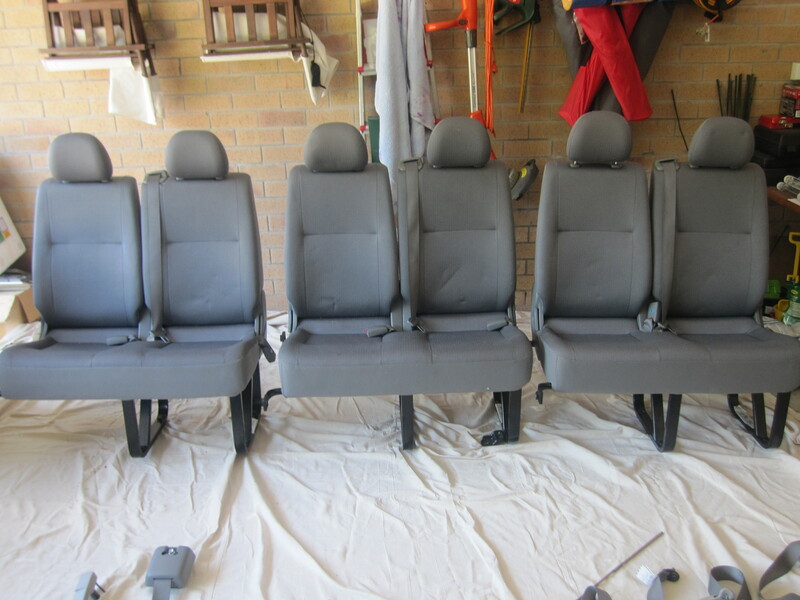 This entry was posted in Building a diy campervan, Campervan first steps, Campervan life and tagged campervan budget, ebay, mini-bus, old bus seats, Reincarnation, retro dining furniture by Rach. Bookmark the permalink. Hi John, I’m afraid not – we sold them on ebay when we started the van conversion. Hope you find some!